What's Up With Free Radicals? Searching for the perfect moisturizer feels like the hunt for the Holy Grail. I’m pushing 33, a mother of two (and one of these children likes to procure knives and sneak nail clippers into school, so this is rapidly advancing my aging process), and Instagram filters no longer hide the wrinkles that crowd my eyes. Consequently, walking into an Ulta and picking out a moisturizer is a lot like the scene from Indiana Jones and the Last Crusade when Harrison Ford faces all those fancy goblets. Pick the wrong cup and your face melts off. I keep choosing poorly. I bought nothing that day. But I did come home, determined to figure out what a free radical was and if it lived in the mountains of Latin America and fought for socialism and equality. As it turns out, a free radical is nothing of the sort. It’s a molecule, a sad broken molecule that cannot form healthy attachments. Or as science would say, it’s an atom or group of atoms with unpaired electrons. Free radicals are created when some molecules interact with oxygen. And actually, our bodies make free radicals all the time. If you know anything about electrons it’s that they hate being alone. So, these free radicals seek out a mate in a healthy atom and form bonds with them. But in the process, they destroy them. Because when a free radical pairs with a healthy atom, that atom in turn becomes a free radical because it now has an unpaired electron. It’s a cycle of dysfunction, really. This free radical, he leaches onto other molecules, breaking them apart. He’s a homewrecker, or a cell wrecker. Too many free radicals and your body can have “oxidative stress,” which has been linked to cancer, aging, and other diseases. Several years ago, Denham Hartman came up with the “Free Radical Theory of Aging” that argued that we age because of this free radical damage. And that these free radicals can only be fought with antioxidants, which are naturally occurring molecules that have extra atoms and can donate them to those needy free radicals, stabilizing them. Or that was the theory. Recently, scientific studies have been contradicting this widely held belief that free radicals are the problem. In 2006, David Gems, Deputy Director of the Institute of Healthy Aging at University College London, conducting an experiment on worms. He genetically modified them so that their bodies wouldn’t make antioxidants and the free radicals would have free reign. And they did. Those free radicals took over, but the worms didn’t die early. In fact, they lived just as long as their healthy counterparts. 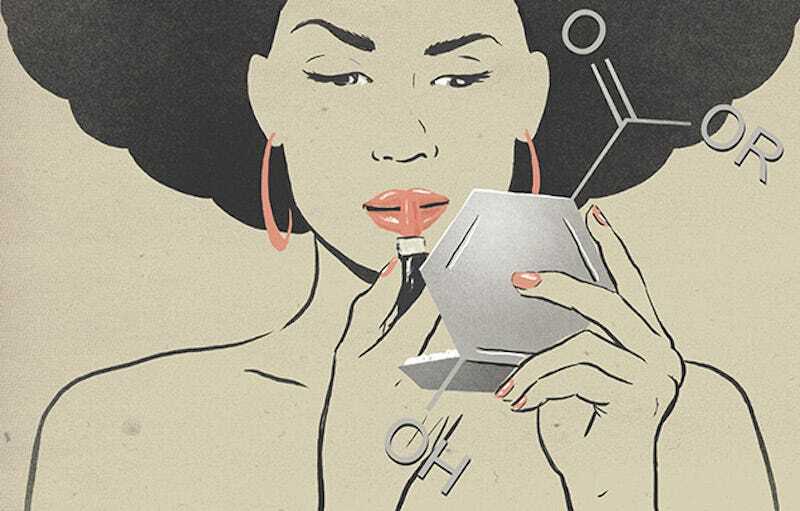 So, should we avoid free radicals or embrace them? Well, science doesn’t know. In the meantime, beauty companies keep selling us the free radical myth because we keep buying it. Bottom Line: Stop blaming the radicals. And stop buying so many antioxidant laden products. Save you money for something that has a better chance of helping you, like the real Holy Grail.